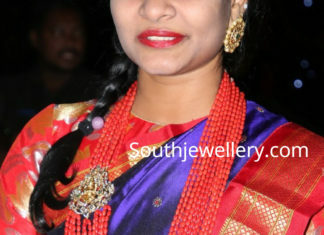 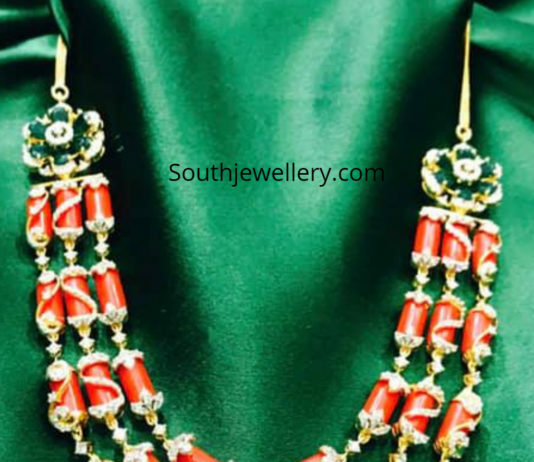 Multi strand coral beads mala with Goddess Lakshmi side pendant studded with diamonds. 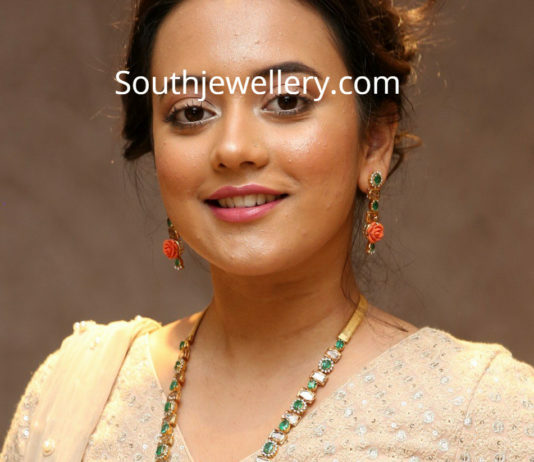 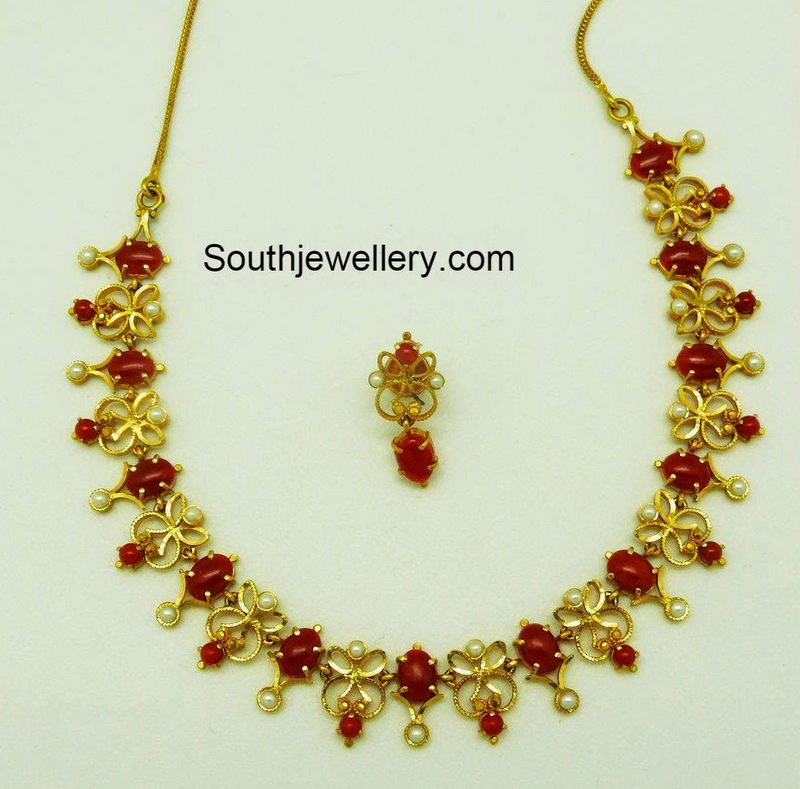 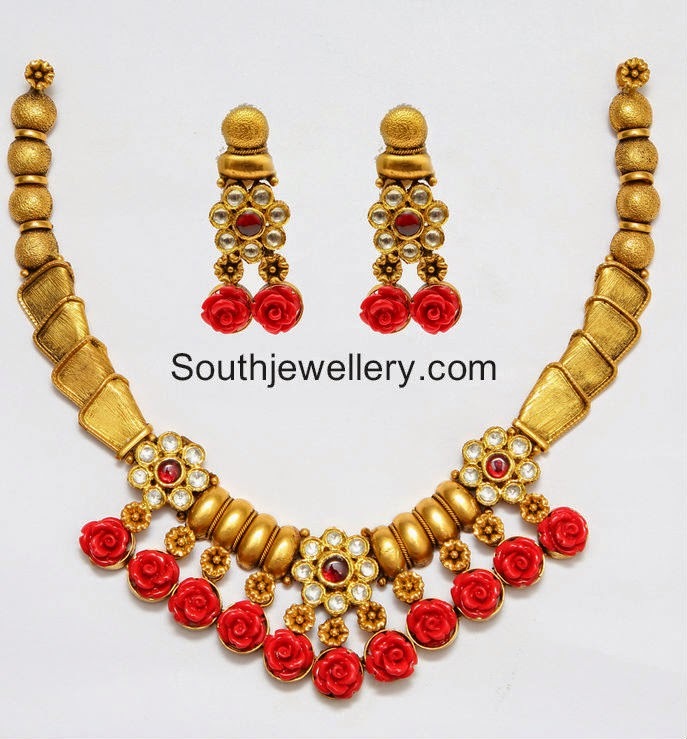 Antique finish gold balls necklace with filigree work studded with carved coral rose flowers, complemented by matching earrings from Aabharan Jewellers. 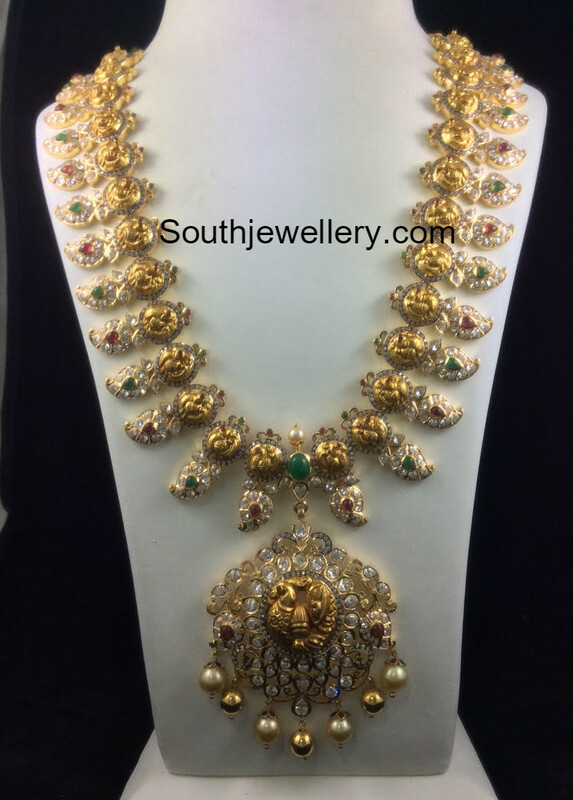 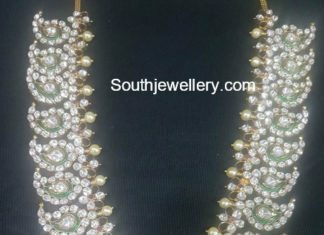 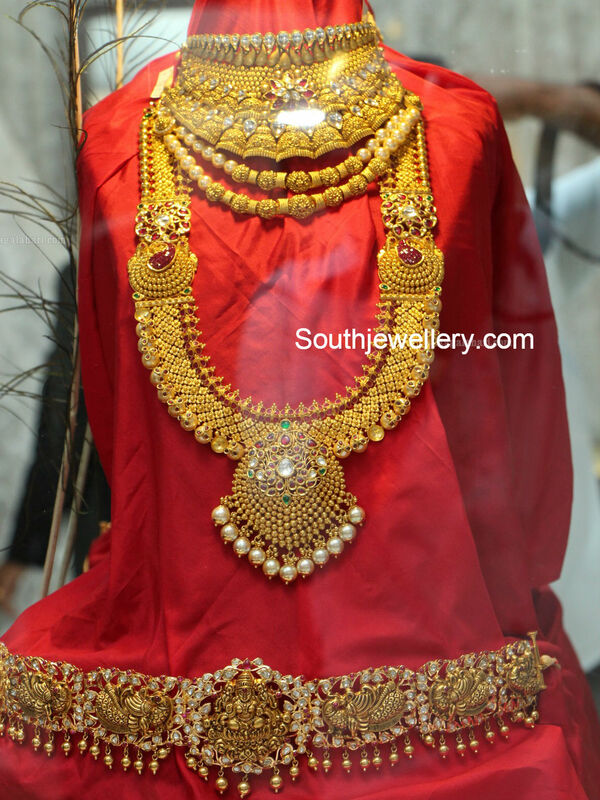 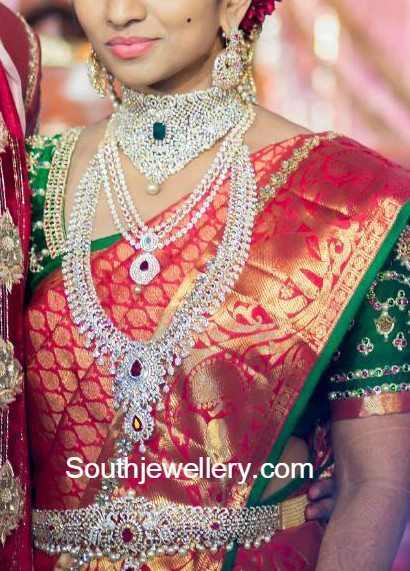 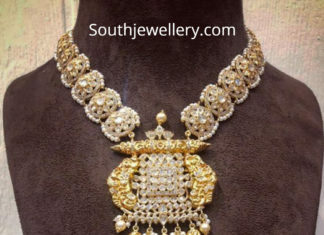 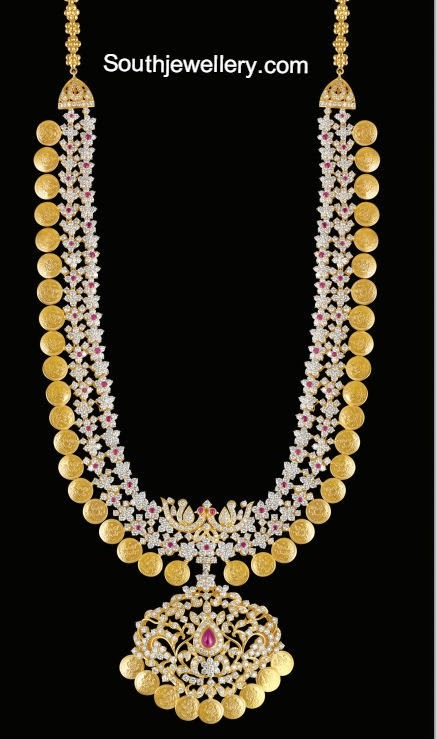 22 Carat gold antique finish haram adorned with polki diamonds and pearls by Parnicaa jewellery.